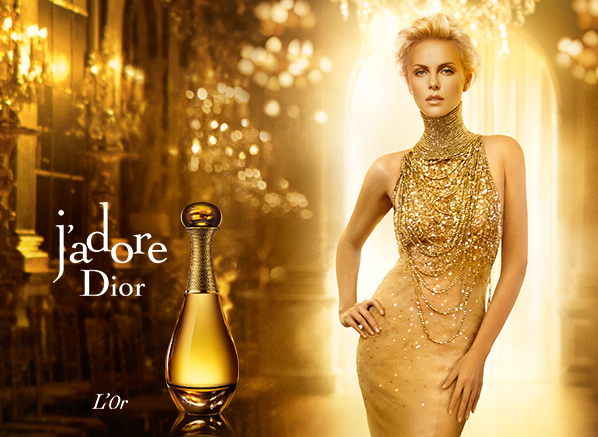 When you think of J’adore you imagine glistening gold, voluptuous flora and Charlize Theron in that gold dress. It’s a haute couture fragrance through and through. How, then, do you make a quintessentially luxurious fragrance even more lavish? Francois Demachy took up this challenge in the creation of J’adore L’Or Essence de Parfum, a premium creation dedicated to the beauty of fine materials and true craftsmanship. Everything about J’adore L’Or is sumptuous. 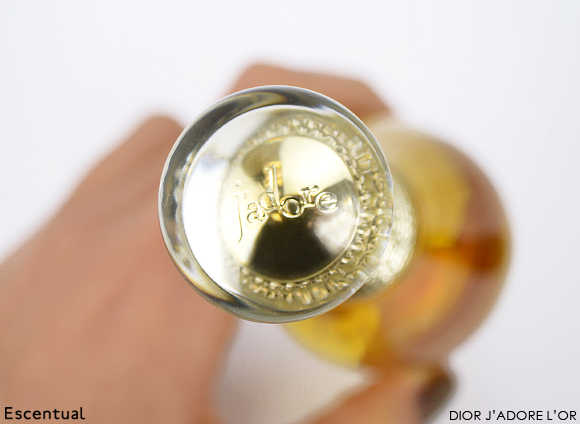 Its bottle, still emblematic of J’adore, takes on new prestige with a weightier base and ultra-fine golden thread encircling its neck. The juice itself is composed of the precious raw materials Rose de Mai Absolute and Jasmine Absolute, which are picked by hand in Grasse. The ultra concentration of the fragrance gives it a deep hue reminiscent of molten gold, and an exquisite, silky texture on the skin. It’s a fragrance that’s truly dedicated to luxury, and a real treat for fans of J’adore. Of course, it is the fragrance that matters most – and this new twist on the classic white floral bouquet of J’adore really is something special. The refined sprightliness of the original is transformed with ‘golden’ Oriental notes, deep and undulating. Though the same floral footprint is there, it is significantly expanded upon and made opulent with base notes of Patchouli, Tonka Bean Absolute, a few drops of Labdanum and the creamy sensuousness of Tahiti Vanilla Absolute. Upon first spray, the creaminess of the vanilla-tinged rose and jasmine is just beautiful. It’s well-rounded and velvety, with a sublime richness indicative of its absolute concentration. It’s the dry down that I’ve come to love about this fragrance, however. It’s just so intriguing, and a distinctive departure from the traditional codes of J’adore. The smooth tonka, vanilla and amber frisson is texturised with labdanum to offer a hint of darkness amongst the sleek golden fabric. It’s quite a dramatic fragrance with fantastic sillage and longevity – it’s a Christmas must-try. 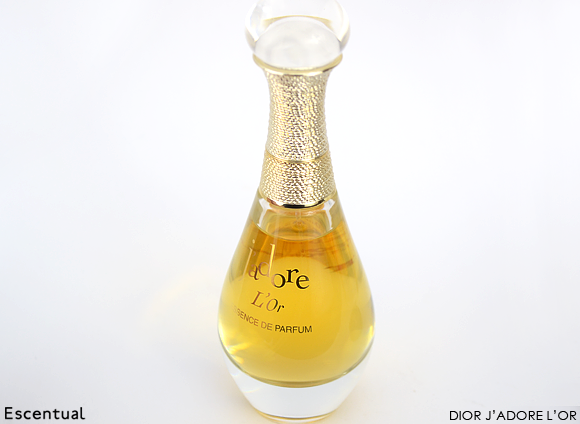 Discover Dior J’Adore L’Or and the entire J’Adore range here at Escentual. This entry was posted on Monday, December 2nd, 2013 at 9:00 am and is filed under Fragrance, Tried & Tested. You can follow any responses to this entry through the RSS 2.0 feed. You can skip to the end and leave a response. Pinging is currently not allowed.